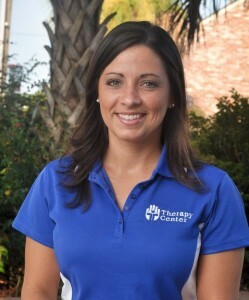 Erica Rozas, originally from Eunice, LA, began working with Therapy Center in 2004. She chose Occupational Therapy as her profession because she wanted to make a positive impact on people’s lives. Erica says that OT is a unique way to restore someone’s dignity through helping them learn or re-learn daily activities, such as feeding and dressing againâ€¦What’s the most rewarding part of her job? At the end of the day, it’s very rewarding to see your patients smile and laugh, especially when they make an accomplishment. Currently Erica works in our partner skilled nursing facilities as a treating therapist and Mentor. She also assists in other areas, such as inpatient rehab and home health in the Jennings area. Her favorite part of working for Therapy Center is the people she works side-by-side with on a daily basis, including her bosses. Erica says My co-workers are amazing! Because of her flexibly, positive attitude, caring nature and willingness to be a true team player, Erica Rozas is a huge asset to Therapy Center!